← Lights! Camera! No Ball! The Greatest Student Batter in New York City History? Another West Side slugger: But there are not Manny like him. The New York Times reports Manny Ramirez’s high-school batting average as .650. The main photo accompanying this Times article shows a determined teenager in 1991. 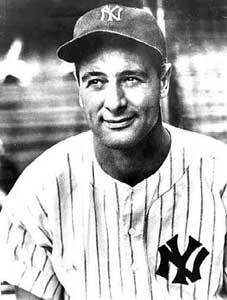 Some of the other legendary batsmen in New York-school history include Hank Greenberg, Ed Kranepool, and one other…let me think, ah yes: Columbia Lou Gehrig. All get their due in our forthcoming book (“any day now!”), Right Off the Bat. This entry was posted in Baseball, Right Off the Bat Book, Right Off the Bat Website, Yankees and tagged Ed Kranepool, Lou Gehrig, Manny Ramirez, New York Times. Bookmark the permalink.